The Fair Media Council Advisory Board is comprised of outstanding professionals in media, education and business. Using a liberal arts philosophy, we built a board that bridges work often done in silos. Our goal: To have wide-ranging experience to call upon, to ensure FMC programming may expand and address issues in real time. Meet the Advisory Board members who are graciously providing FMC with the expertise needed to face the challenges of the rapidly changing media landscape. John Andrews is the Co-Founder and President of Prevailing Path, a content-to-commerce media company for brands and retailers; Co-Founder and President of The Katahdin Company; and Co-Founder and former CMO of Carusele Company. He is the founder of Collective Bias (acquired by Inmar in 2016) and serves as a fractional CMO for GoodX, which builds media platforms to help brands and retailers create more efficient Good Marketing in order to do more good. 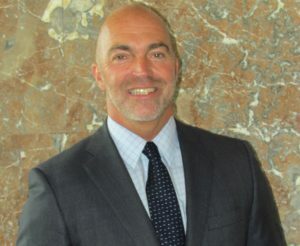 Andrews has more than 20 years of work in consumer packaged goods companies including Hanes Brands, Newell Rubbermaid, PictureVision (Kodak Digital) and Implus. He moved to the retail side in 2007, joining Walmart, where he built the award-winning — and one of the first — people-as-media platforms called Walmart Elevenmoms. He serves on the board of directors of Dunn Brothers Coffee and is an Advisory Board Member of Photofy. He is also the Senior Strategic Advisor for Champions for Kids, and is an adjunct professor at North Carolina State University’s College of Textiles. His interests include economics, emerging media and wearable technology, as well as running, hiking and cooking. Known as one of the most dynamic communications professionals in the entertainment business, Anna Carbonell has more than 35 years of experience working in the tri-state community. Carbonell served as Vice President, Press & Public Affairs for both the local NBC and Telemundo (WNBC-TV and WNJU) television stations from 1995 through 2010. 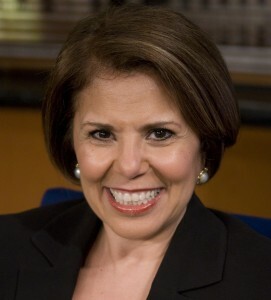 During her tenure there, she also served as host and executive producer of “Visiones” WNBC’s Hispanic affairs program, and as executive producer for “Positively Black.” In addition, and as a member of the NBCU Diversity Council, she advised senior management as to best practices and corporate policy for securing and maintaining a highly qualified and diversified workforce. Prior to that, Carbonell managed the press functions of the local ABC television station, and helped management in the creation and development of a Sunday morning talk show “Tiempo” which she hosted and produced for more than 13 years. Named one of the 100 Most Influential Hispanics in the Nation by Hispanic Business Magazine and one of the 50 New York Influential Latinos by the New York Daily News, Carbonell has received numerous industry honors including a prestigious Emmy Award from the local chapter of the National Academy of Television Arts and Sciences. Her many board affiliations have included roles with Big Brothers, the National Association of Hispanic Journalists, the Dance Theater of Harlem, the Latino Commission on AIDS, Committee for HispanicChildren and Families and CityArts. Carbonell also served on the NYC Economic Development Corporation Board and on the City’s Task Force on Diversity in the Entertainment Industry. During the Bloomberg administration, she was appointed to the Latin Media and Entertainment Commission for the City of New York and later joined the advisory board of the American Friends of the Ludwig Foundation of Cuba involved in a cultural exchange of artistic talent between the US and Cuba. She most recently served as VP Media for the newly installed local chapter of the National Women’s Political Caucus and was just named a Board Member of the National Urban Fellows. As a communications strategist, Carbonell continues to perform consulting work for various organizations and public relations firms which includes strategic planning, crisis management and voiceover work, when audio/video production might be involved. Thomas Cooper is the author or co-author of seven published books about media ethics and criticism including Media Fast/Fast Media, Television and Ethics: A Bibliography, Communications Ethics and Global Change, and An Ethics Trajectory. The co-publisher of Media Ethics, an independent academic and professional magazine (both on-line and in print), Cooper has written over a hundred articles and reviews. From 1975-1980 at the University of Toronto, Cooper served as an assistant to Marshall McLuhan, the renowned communications theorist who originated the phrase “the medium is the message.” Cooper co-produced some of the first audio-spacebridges (live satellite, two-way broadcasts) between the U.S., the Soviet Union, and other countries. 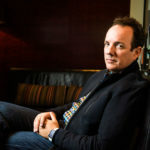 A playwright with a doctorate in drama and communication, Cooper also attended Canada’s Royal Conservatory of Music, and his musical compositions have been performed in multiple locations. He has received numerous fellowships, awards, and grants, and is a speechwriter for the former CEO of Puma, Inc.
Cooper was founding director of the Association for Responsible Communication, which was nominated for the Nobel Peace Prize in 1988. He has taught at Harvard University (his alma mater), the University of Hawaii, University of Maryland, Temple University, and at Emerson for three decades. Cooper earned his undergraduate degree from Harvard University, and his master’s and Ph.D. from the University of Toronto. Clem Garcia, CFA, is a Senior Equity Analyst and Partner at Pier Capital LLC, an institutional investment advisory firm. Prior to joining Pier Capital in 2007, Clem was a US Equity Analyst and Sector Portfolio Manager at General Electric Asset Management. He received his MBA in Finance from the Stern School of Business at New York University. Garcia resides in Darien, Conn. with his family. 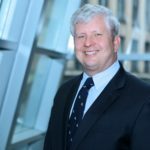 Robert F. Keeler is a consultant to the Hagedorn Foundation, which focuses on issues such as children and families, immigration, voting rights and civic engagement. 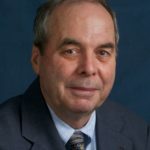 Before that, he worked for Newsday for nearly 42 years, including more than 11 years on the editorial board, specializing in editorials about politics and government in Suffolk County, the environment, immigration, religion, and regional transportation. In 2013, Newsday’s editorials on the recovery from Hurricane Sandy—including several that he wrote—were among the finalists for an editorial-writing Pulitzer. Until July 2001, he covered religion, ethics and values. In 1996, he won the Pulitzer Prize for beat reporting, for his series of stories about the day-to-day faith of a Catholic parish, St. Brigid’s in Westbury. Keeler entered the craft of journalism in 1965 at the New York Herald Tribune, where he worked as a copy boy and an editorial assistant. Drafted in November 1965, Keeler served for almost three and a half years in the United States Army, including assignments in Maryland as an information officer and in Korea as an intelligence officer. After he left the service in 1969, Keeler worked at the Waterbury Republican in Connecticut, covering civil rights, then at the Staten Island Advance, where he primarily wrote about transportation issues. He came to Newsday in April 1971. Keeler’s first assignment at Newsday involved covering the Town of Brookhaven, geographically the largest town on Long Island. In that first year on staff, Keeler wrote a two-part series on the problems at the Suffolk State School in Melville, a facility for the developmentally disabled. That same year, he worked on a team covering the bloody uprising at the state prison in Attica. His series on Suffolk State School won the 1972 distinguished community service award of the New York State Publishers Association. From 1973 to 1978, Keeler was the lead reporter covering Suffolk County government. From 1978 to 1981, he served as Albany bureau chief. In that assignment, he wrote extensively about the state’s prison system, including a strike by prison guards and the first prison interview with David Berkowitz, the “Son of Sam” serial killer. His experience in political coverage includes races from the town board and county legislature level to the 1974 and 1978 gubernatorial races, the 1976 and 1980 Democratic presidential conventions, and the 1976, 1980 and 1992 campaigns for United States Senate from New York. After his tour as Albany bureau chief, Keeler served briefly as a national correspondent, then as editor of The Newsday Magazine in 1982 and 1983. In 1984, he became state editor. From 1987 to 1990, he worked on a book about the history of Newsday. The book, Newsday: A Candid History of the Respectable Tabloid, was published in 1990 by William Morrow. Keeler’s next assignment, after the publication of the Newsday book, involved long-term projects. In that job, his longest-running project was an 18-month examination of the State University of New York. The SUNY series ran in 1992 and won awards from the Education Writers Association, the Society of Silurians and the Long Island Press Club, the local chapter of the journalism fraternity Sigma Delta Chi. In June 1993, Keeler began covering the religion beat. Among the stories that he covered were papal visits to Denver in 1993 and to New York in 1995, and the first-ever Holocaust memorial concert at the Vatican in 1994. The stories that won him the Pulitzer began as a persistent idea in the mind of Assistant Managing Editor Phyllis Singer, who had been trying for some time to get Newsday to run a series on a year in the life of a Catholic parish. That assignment turned out to be a natural for Keeler, who has been a Catholic all his life and once studied for the priesthood at Cathedral College of the Immaculate Conception, a preparatory seminary in Brooklyn. After a significant amount of reporting to determine which parish would be most suitable as the subject of the series, Keeler began spending much of his time at St. Brigid’s in December 1994. The first piece in the occasional series ran on April 2, 1995. The nomination for the Pulitzer included the first seven pieces on St. Brigid’s, which all appeared in 1995. Later, the entire series became the basis for a 1997 book published by The Crossroad Publishing Company, Parish! The Pulitzer Prize-Winning Story of a Vibrant Catholic Community. In March 2000, Keeler served on a Newsday team covering the pilgrimage of Pope John Paul II to the Holy Land. He and his colleague, Paul Moses, wrote a book about that pilgrimage, Days of Intense Emotion: Praying with Pope John Paul II in the Holy Land, published by Resurrection Press in the spring of 2001. Keeler lives in Stony Brook with his wife, Judith Ann Dempsey Keeler, who teaches in a Catholic elementary school. They have two adult children, Rebekah and Rachel, two granddaughters, Hailey and Annie, and three grandsons: Zachary, Leo and Dayton. Bruce Lambert grew up in Cambridge, Ohio, and Rochester, N.Y., and attended Hamilton College. Lambert began his career as a reporter at the Rochester Democrat & Chronicle. He went on to work for Newsday and the now-defunct New York Newsday for a combined total of 17 years. But it was at The New York Times where Lambert hung his hat the longest: He served for 22 years, mostly covering local politics and government on Long Island and at City Hall in New York City, along with some stints on state government in Albany. He also covered health and housing, and became the first full-time AIDS reporter at the Times. A leader in labor advocacy, Lambert was president of the Rochester Newspaper Guild, a co-founder of the news department union at Newsday and vice chairman of the The New York Times’ News Guild. 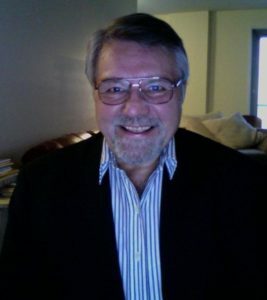 Lambert is a frequent speaker at Fair Media Council events, and has served as a judge for the organization’s Folio Awards for several years. 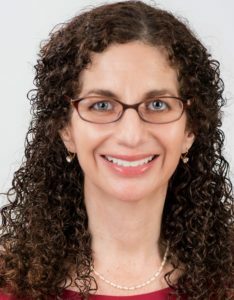 He has served as a board member and officer of the Seaview Terrace co-op apartment building in Long Beach, N.Y.
Carolyn Schurr Levin is an attorney specializing in Media Law and the First Amendment. She has practiced law for over 25 years, including as the Vice President and General Counsel of Ziff Davis Media, the Vice President and General Counsel of Newsday, a Litigation Associate at Corbin Silverman and Sanseverino in N.Y.C., and a Litigation Associate at Cravath, Swaine & Moore in N.Y.C. She is admitted to the bars of New York, Connecticut and the District of Columbia. Levin is also a Lecturer in Media Law & Ethics at Stony Brook University and the Media Law Adviser for the School of Journalism at Stony Brook University. She has taught Legal Aspects of Publishing on the graduate level at Pace University. She is a member of the Bar Association of the City of New York and the New York State Bar Association. She has been teaching at LIU Post since 2003, served as the Assistant Dean of the School of Visual and Performing Arts from 2010-2012, and has been the Faculty Advisor for both the student newspaper and magazine since 2010. She was the recipient of the LIU Post Adjunct Faculty Recognition Award for outstanding service in 2010 and the Student Life and Leadership Development Advisor of the Month Award in 2012. Levin has been an Editor and Consulting Editor with Anton Media Group. She is a contributing writer for the Student Press Law Center Report and the College Media Review. As a freelance writer, she has been published in the New York Times Book Review, New York Law Journal, American Bar Association Journal, Corporate Counsel newsletter, Barrister magazine, Special Counsel Newsletter, the Port Washington News, Great Neck Record and Patch.com. She has been a judge for numerous journalism competitions and a reviewer for several media and communications textbooks. 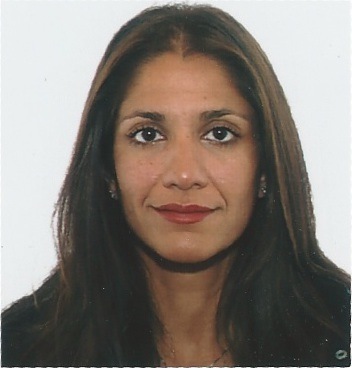 As Chief Executive Officer, Puja Mahajan is currently responsible for entire operations and strategy at Europe-based Elit’Avia, where she overseas a staff of over 160 employees world-wide, administering AOC operations in Slovenia, Malta and now San Marino. Elit’Avia operates aircraft registered Europe, America and various private registries, and performs both private and commercial missions. Mahajan began her aerospace career at Pratt & Whitney Canada in 1996 as an aerodynamic engineer where she received a Total Quality Management (TQM) Award for developing an innovative chevron-type blade generating unprecedented high turbine efficiency for PT6 gas turbine engines. She joined Bombardier Aerospace in 2001 as Product Planning Manager for the Learjet 40, Challenger 300 and Challenger 800 business jet aircraft. Among her numerous successes were the successful launch of the Learjet 40 light jet; program development and certification of the Challenger 300; and the strategic development of the Challenger 850/870/890 program. Mahajan held various diverse positions with increasing seniority within Bombardier Aerospace, including Flight Operations Asset Manager, where she gained a strong knowledge of Part 91 and Part 135 type operations, and then as Director of Sales Business Management, supporting worldwide sales activity. In 2013 she joined Elit’Avia Chief Operating Officer (COO) where her initial challenge was to establish the Malta Operation for Elit’Avia. After two years managing day to day operational issues and the financial performance of the company, Mahajan was asked to be Chief Executive Officer in January 2016. Trilingual in English, French and Italian, Puja has a Diplome des Etudes Collegiales along with a Bachelor of Engineering Degree from McGill University in Montreal. In 2009, she was nominated to the National Business Aviation Association Safety Committee, and she also served as co-chairperson of the Bombardier Safety Standdown Advisory Council from 2009 through 2013, and member of the same council since 2016. She currently resides in Europe since joining Elit’Avia in 2013. 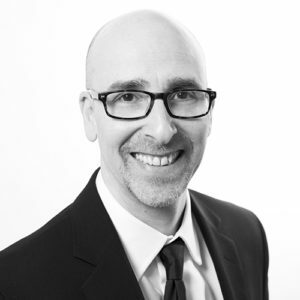 Steve Rubel is Chief Content Strategist for Edelman, a leading global communications marketing firm that partners with many of the world’s largest and emerging businesses and organizations, helping them evolve, promote and protect their brands and reputations. He is considered one of the leading experts on the evolving media and marketing landscape and the blurring lines between channels. Rubel is responsible for advancing Edelman’s thinking on the entire ecosystem and for developing integrated marketing programs that blend paid, owned, and earned strategies. He serves as a senior advisor to the firm’s Executive Committee as well as its roster of clients. Since joining Edelman in 2006, Rubel has served in a number of senior strategy roles. Early on, he helped shape the firm’s thinking on the impact of social media on both media and marketers. More recently he played a key role in helping the firm accelerate both its newer paid media and content development capabilities. Rubel is one of Edelman’s most visible marketing industry thought leaders. He contributes regularly to Advertising Age and is followed by over 92,000 people on Twitter (@steverubel). Prior to joining Edelman over a decade ago, Rubel worked for 15 years in a variety of marketing communications positions in corporate, non-profit, and small/mid-sized PR firms. He joined Edelman from CooperKatz where he conceived and developed some of the earliest social media programs in the public relations industry. Rubel is a graduate of Hofstra University and hails from Long Island, N.Y.
Ted Rubin is a leading Social Marketing Strategist, Keynote Speaker, Acting CMO of Brand Innovators, and Co-Founder of the recently launched Prevailing Path. Ted left his position as Chief Social Marketing Officer of Collective Bias on Aug. 31, 2013. He remained a principal shareholder until the November 2016 acquisition by Inmar. Many people in the social media world know Ted for his enthusiastic, energetic and undeniably personal connection to people. Ted is the most followed CMO on Twitter according to Social Media Marketing Magazine; one of the most interesting CMOs on Twitter according to Say Media, No. 13 on Forbes Top 50 Social Media Power Influencers, and No. 2 on the Leadtail list of Top 25 People Most Mentioned by digital marketers. 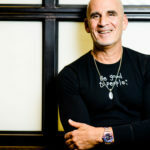 Return on Relationship, ROR, #RonR, is the basis of his philosophy… It’s All About Relationships! His book, Return on Relationship, was released January 2013, How To Look People in the Eye Digitally was released January 2015 and The Age of Influence… Selling to the Digitally Connected Customer was just released. Connect with Ted at TedRubin.com or @TedRubin. Dawn E. Smart is President and Chief Executive Officer of Dore Designs. Based in Southwest Florida, Dore Designs is the largest and most successful dancesport costuming company in the United States. Smart joined Dore Designs in 1999, as a dress designer and salesperson. As she rose through the ranks of the company, she reimagined and evolved dress designs for world-class dancers and ice skaters around the globe. An attention to fine fabrics that met the needs of athletes, combined with fashion forward detailing and couturier techniques, brought an element of high fashion to the competition circuit. Smart’s vision for the company has enabled it to become a force within the industry and a philanthropic leader. Smart has served as the head costume designer for movies and television shows, as well as the off-Broadway show, ‘SWAY: A Dance Trilogy,’ which was created and starred Dancing With The Stars’ Maksim Chmerkovskiy, Tony Dovolani and Valentin Chmerkovskiy, and has shown her evening gowns and women’s ready-to-wear during New York’s Fashion Week. She has also created costumes for the NBA’s Knicks City Dancers. Smart spends most of the year traveling to dance competitions around the country, to ensure her clients receive personal attention. She is a graduate of The University of North Carolina at Chapel Hill and resides in Cape Coral, Fla. with multiple cats and the occasional manatee visitor in the canal behind her home. Dr. Donald Sturz is Assistant Superintendent for Pupil Services in the Levittown School District, one of the largest school districts in Nassau County, Long Island, N.Y. Levittown is recognized statewide and nationally for its students’ academic and athletic accomplishments. Dr. Sturz has been involved with both public and private education for 27 years. Through various roles such as psychologist, consultant and administrator in a variety of settings across multiple levels of support, he has had a unique opportunity to assess and understand the systems that exist to support children and adolescents, both historically and currently. He has appeared on local news programs and has been interviewed by the local press regarding issues involving children and adolescents. He was recently selected by the New York State Council of School Superintendents to participate in the 2017-2018 Future Superintendents Academy. Dr. Sturz received his Doctorate in Clinical and School Psychology from Hofstra University in New York. In his spare time, Don is an international dog show judge, having judged the sport’s most prestigious events, including the Westminster Kennel Club. 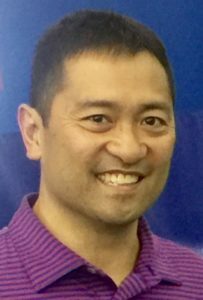 Patrice Tanaka is a serial entrepreneur, having co-founded three award-winning, PR & marketing firms, including the largest, employee-owned PR agency in the U.S. Recently she created, Joyful Planet, a Business & Life Strategy Consultancy to help individuals and organizations discover and live their purpose and unleash their greatest success, fulfillment and joy. This is the subject of Patrice’s best-selling new book, Beat the Curve (2016), co-authored with renowned management consultant and coach, Brian Tracy. 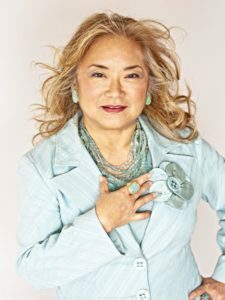 Patrice has been honored by many organizations, including PRWeek (2016 Hall of Fame inductee), PRSA Foundation (Paladin Award), Public Relations Society of America (“Paul M. Lund Award for Public Service”), The Holmes Report (“Creativity All-Star”), New York Women in Communications (“Matrix” Award), Association for Women in Communications, Asian Women in Business, Working Mother magazine (“Mothering that Works” Award), Girl Scouts of Greater New York (“Women of Distinction” Award), and by the University of Hawaii (Distinguished Alumni), among others. Lance Ulanoff is Chief Correspondent for Mashable. He covers all facets of technology and the intersection of digital and life. He’s also busy finding new ways to tell stories on Mashable. Lance is based in Mashable’s New York editorial headquarters. A 30-year industry veteran and award-winning journalist, Lance Ulanoff has covered technology since PCs were the size of suitcases, “on line” meant “waiting” and CPU speeds were measured in single-digit megahertz. 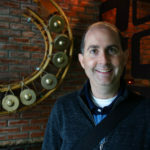 Prior to joining Mashable in September 2011 Lance Ulanoff served as Editor in Chief of PCMag.com and Senior Vice President of Content for the Ziff Davis, Inc. While there, he guided the brand to a 100% digital existence and oversaw content strategy for all of Ziff Davis’ Web sites. His long-running column on PCMag.com earned him a Bronze award from the ASBPE. Winmag.com, HomePC.com and PCMag.com had all been honored under Lance’s guidance. He makes frequent appearances on national, international, and local news programs including Live with Kelly, Fox News, the Today Show, Good Morning America, CNBC, CNN and the BBC. He has also offered commentary on National Public Radio and been interviewed by newspapers and radio stations around the country. Lance has been an invited guest speaker at numerous technology conferences including Think Mobile, CEA Line Shows, Digital Life, RoboBusiness, RoboNexus, Business Foresight and Digital Media Wire’s Games and Mobile Forum. Lance received his Bachelor of Arts in Journalism from the Hofstra University in New York. He serves on Hofstra’s School of Communication Advisory Board. In his spare time, Lance draws cartoons, which he occasionally posts online. He and his wife Linda have been married for over 25 years and are raising two amazing teenagers.